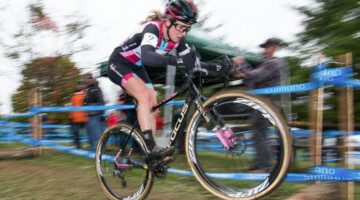 Have you ever wondered what it would be like if you could challenge your favorite cyclocross pros to step outside their comfort zone and take you on in a competition of your choosing? Maybe you could drop some beats against Jeremy Powers or chug a beer against Maghalie Rochette and Katerina Nash? 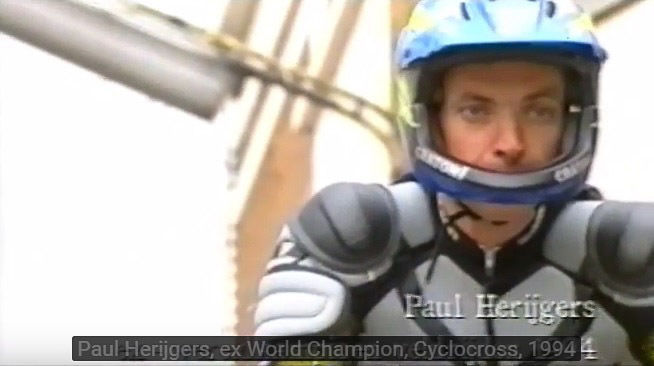 In this Throwback Thursday video from 1997, aspiring Irish mountain biker Philip McNamara got to do just that on Belgian TV when he challenged 1994 cyclocross World Champion Paul Herygers to a downhill mountain bike race. Perhaps remembering this experience, Herygers got the chance to flip the script in 2016 when he rode the sands of Koksijde with two soccer players. 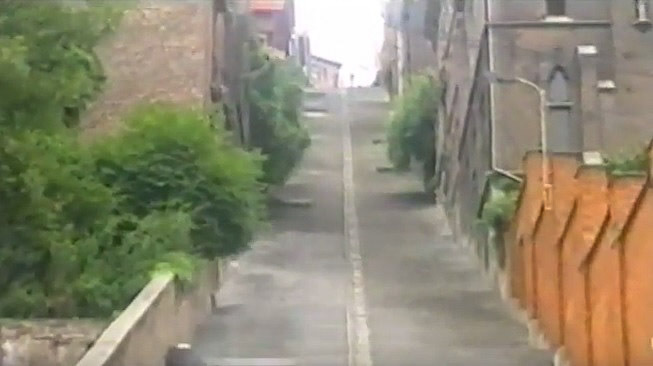 Little did he know, Herygers was in for a ride not only because McNamara would go on to make the Irish Mountain Bike Worlds team three times but also because the downhill course was the 374-step Montagne de Bueren stairs in Liege, Belgium. The subtitles make the video easy to watch and the unique veldrijden came down to a photo finish, so it is definitely worth watching all the way through. Want more blasts from the past? Check out our Throwback Thursday archives. 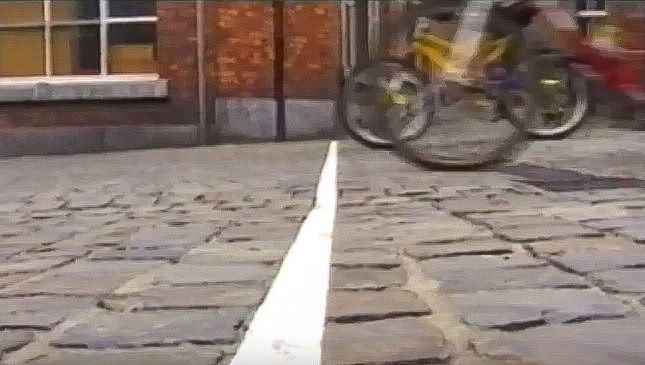 Neither bike is a hardtail.